With over twenty years like ‘roadie’ and profesional musician with some of the top spanish artists, Isaac Vega is the creator of Vegatrem’s idea. Based on innovation, respect for classics and maximum quality, it has developed the revolutionary VT1 Ultra Trem floating bridge. The spring is the element that serves as a counterweight to the pressure exerted by the strings that is why it’s an element of vital importance within the system. 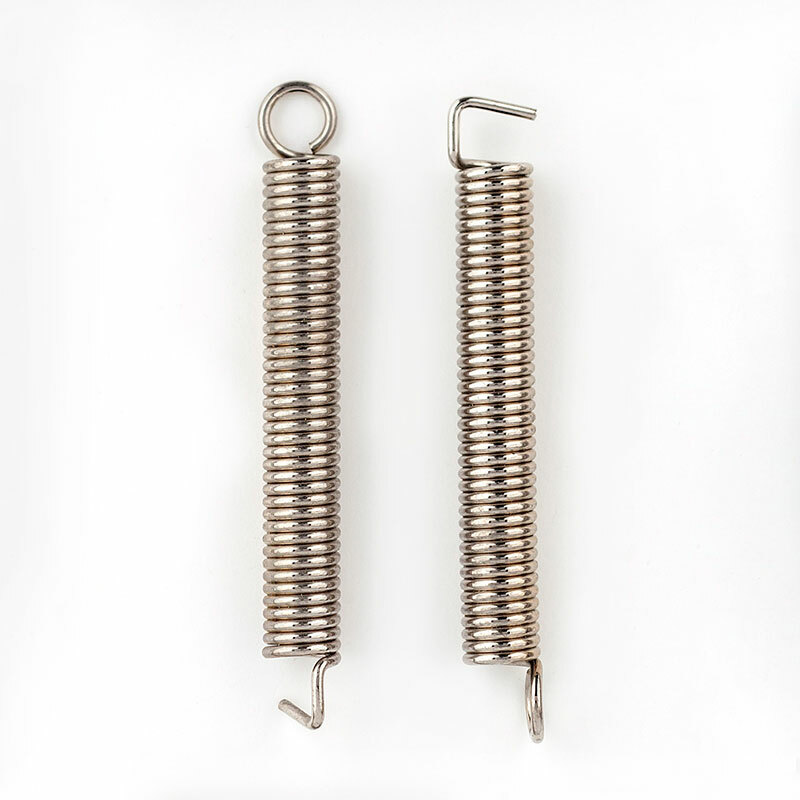 In general, in terms of stability for tuning, the more resistance the spring offers its better. Logically, there is a very important thing, and this is the gauge of the strings; it’s not the same to use a string gauge 008 as a 012. All of these, translated in kg. of pressure, which can oscillate between 31 kg. and 66 kg. of difference according to the gauge. To achieve an adequate the balance, it’s necessary to act with springs of different sizes (kg of resistance), for each pressure section. That’s why in VegaTrem we put at your disposal different kind of springs, and in our store you will find three different measures of springs so you can optimize the functioning of your Vegatrem VT1. In our start pack, we include the intermediate measure, which is ideal for gauge 010 and 011, which today are the most popular. I am interested in replacing a 6 mounting screw trem on my home made prs type guitar. I need a overall string spacing of ~2 3/64″ … Do you make a product that will work for this width? (I can’t find where the dimensions are listed for your products. Our overall string spacing is 2 7⁄64″. You can install it on a prs style guitar, we do it. Kind regards. I would like to try a Vegatrem on a PRS SE Santana that has a short 24.5″ (622.3mm) scale length and so with 10-gauge strings that would be a significantly lower tension than 10s on a 25.5″ (647.7mm) scale. What springs should I order – Medium or Light? I was thinking of Medium with the claw adjusted out. You’re right. The medium tension is your optimal option. Kind regards. Hi, I would like to know if the VT1 Ultra Trem standard would fit on a SX SST 57 strat clone. It comes with a 6 screw bridge with 52 mm of string spacing (from E to E). You won’t have any problems, Nahuel. Regards. Of course. You need the asian 2-points option and low tension springs. Kind regards.